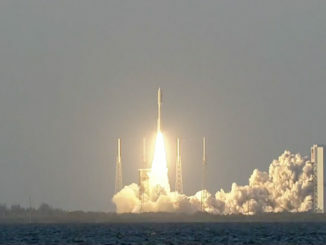 The most powerful configuration of United Launch Alliance’s Atlas 5 rocket blasted off April 14 from Cape Canaveral, hauling multiple U.S. Air Force satellites to a perch high above the equator after piercing a clear evening sky over Florida’s Space Coast with 2.6 million pounds of thrust. 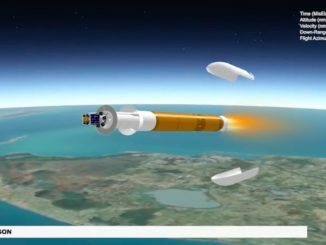 Watch a replay of the Atlas 5 rocket soaring into space on 14 April carrying multiple U.S. Air Force communications and tech demo satellites. 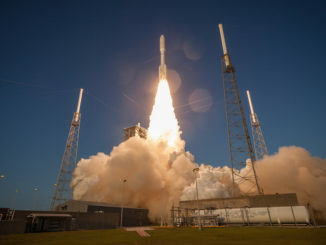 A package of communications and tech demo satellites for the U.S. Air Force rode a United Launch Alliance Atlas 5 rocket into an orbit more than 20,000 miles over the equator after liftoff from Cape Canaveral Saturday evening. 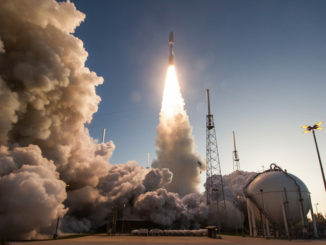 An Atlas 5 rocket rumbled into space Saturday evening after lifting off from Cape Canaveral with multiple U.S. Air Force communications and tech demo satellites, and brilliant clear skies made for ideal viewing conditions shortly before sunset. These photos captured on the eve of launch show a United Launch Alliance Atlas 5 rocket standing on its launch pad at Cape Canaveral Air Force Station, ready for blastoff on the U.S. Air Force’s AFSPC 11 mission with three satellites on-board. 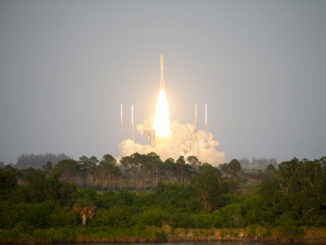 A United Launch Atlas 5 rocket is set to loft three military satellites for the U.S. Air Force on a mission codenamed AFSPC 11. This timeline shows the major mission events planned over a six-hour flight to a near-geostationary orbit. 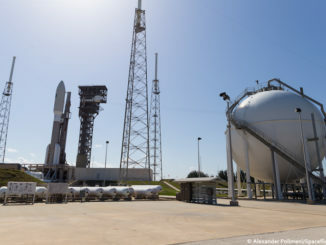 A United Launch Alliance arrived at Cape Canaveral’s Complex 41 launch pad Friday morning after rolling out of its vertical hangar with three U.S. Air Force satellites designed to provide communications to military leaders and test new in-orbit inspection and surveillance technology. 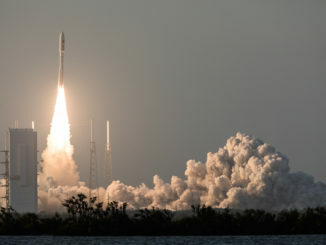 With its payload shroud filled with multiple U.S. Air Force satellites heading for a high-altitude perch over the equator, a United Launch Alliance Atlas 5 rocket lifted off from Cape Canaveral Saturday at 7:13 p.m. EDT (2313 GMT) in its most powerful configuration with five strap-on solid-fueled boosters. 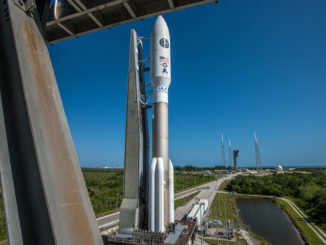 United Launch Alliance crews at Cape Canaveral are finishing final preparations for an Atlas 5 rocket launch Saturday evening to dispatch three U.S. military satellites directly to an orbital perch more than 20,000 miles over the equator.